You know that blogging is a vital piece to the ongoing success of your business. What do you do when you don’t have the time to produce quality blog? Hiring a freelance copywriter could be the best way to meet the needs of your customers and reach your business goals. Many small business owners hire in-house bloggers and website copywriters. The in-house team carries extra expenses. Hiring a copywriter is more than just the copy that is produced. Today’s marketing world your business needs an expert across several marketing channels. Hiring a freelance writer to fuel your blog with content has several bonuses. Many business owners have been burned by freelance writers who are unresponsive or deliver poor results. The good new is that you can use a number of online marketing tools for small business to help you find the best content for your audience. When you hire a copywriter, you need to take the time to research and understand if that freelancer is right for you and your company. 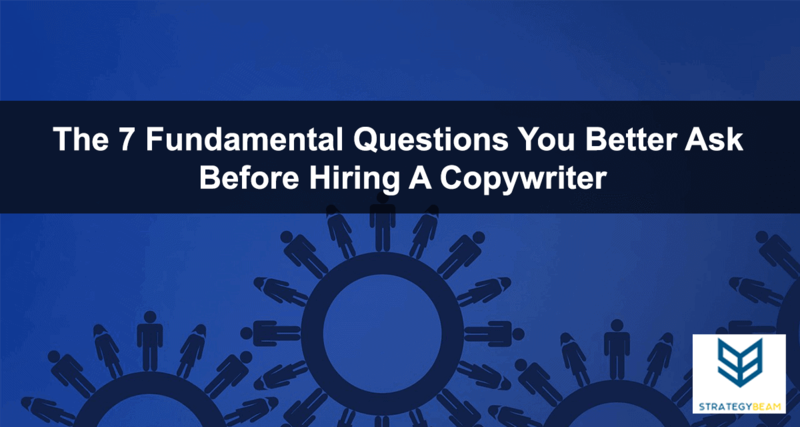 Use the following questions to understand if a freelance copywriter is a professional writer you need to grow your business. Hiring a copywriter is perhaps one of the most important decisions you can make to build the online presence for your business. Not only does a professional copywriter bring knowledge about online marketing to each project. They also provide your business with the skills you need to draw more qualified leads to your website and close more sales. Yet, hiring a copywriter can be a daunting task. There are many freelance copywriters for hire. Everyone promises that they know how to write content that compels your readers to convert. If you want to hire a freelance writer who will make you money, then you need to make sure they have the experience and skills you need. Overall, their abilities need to help you integrate your online marketing channels and content strategy. When you hire a freelance copywriter, you need to be careful consideration and investigation of different qualities of each copywriter. Not all copywriters for hire have the same experience, quality, or knowledge about digital marketing. It is important to ask some basic questions from a copywriter before you hire them. 1. How Do You Begin A Project? Your business needs the best content to meet your goals, and your customers deserve the best information available. The only way to make content that fulfills the needs of your clients and aligns with your business goals. Your business benefits if the freelance copywriter you are looking to hire does thorough market research. This research ensures the content will align with your business goals and your audience. It is impossible to create content that is optimized for your target audience if they skip the research phase and go right to writing. The last thing you want to do is hire a freelance copywriter who is unorganized and skip the research and go directly to content production. Many freelance copywriters for hire lack the skillset to perform market research and competitive analysis. This type of information can give you an edge to identify your target audience and personalize content to meet the needs of your customers. As a result, your business will see increased traffic and sales if the freelance writer you hire has a background in the types of research. 2. What Is Your Research Method? A freelance copywriter for hire needs to have a consistent approach to how they research a topic and industry before they begin writing. The method that a freelance copywriter uses to understand your business can have a significant impact on the quality of your business content. The research phase is one of the most important steps to create compelling copy that attracts and converts your readers. The best selling copy comes from researching your customers and aligning the content to meet their needs and your business goals. 3. What Industries Do You Write About? The freelance copywriter you choose to hire should be based on the needs of your business and industry. A professional copywriter should be able to write about many sectors, especially if they make their living from freelance writing. While you should be looking for content about your industry, there are some benefits to hiring a copywriter who has experience in various sectors. A good freelance copywriter knows their limitations, and you should ask for writing samples around your industry. For example, a marketing company could ask for blog posts and writing samples about technology and business development to see if the copywriter can expand content beyond the core topic. 4. What Types Of Content Do You Create? Sometimes you’ll meet a freelance copywriter who is experienced at writing white papers but lacks the technical knowledge about search engines. A good freelance copywriter is capable of writing more than one type of content. As you research before hiring a freelancer, be sure to listen to which assets they emphasize the most. There is a significant difference between a technical writer and a website copywriter. Make sure that your business understands what you are looking for before you hire a freelance copywriter. 5. Can You Show Me Some Of Your Past Works? A professional copywriter who is worthy of your hire will have a large body of previous work. A copywriter for hire will have an extensive portfolio if they have been writing copy for businesses like yours for long enough. This body of work can help you understand their style and their professionalism. If the freelancer you’re considering to hire is unable to show you an impressive portfolio, then you should move on. Is their writing clear and consistent? Do they edit for grammatical and spelling errors? Does the headline capture the most important selling points? Is their writing style engaging for your audience? Since hiring a freelance copywriter is so important for your business, you need to make sure that you are choosing a writer who can produce high-quality content. The only way to check that the author’s tone and message style meets your needs is to look at their portfolio and judge for yourself. 6. How Do You Optimize Content For Search Engines? Every web page and blog post can help your business rank higher in search engines. The freelance copywriter you are considering to hire should know how to make content that is relevant to people and visible to search engines. Anyone can write content for a website and blog, but it takes a skilled freelance copywriter to produce content optimized for Google. Understanding how people and Google understand online copy can be profitable for your business. Your content should be written to benefit your readers and optimized to be found in search engines. I have years of experience creating compelling copy for businesses like yours in a way that gets readers to convert. At the same time, I have the technical background to help Google understand what your content is about. This means that your business can be found and attract more qualified leads. 7. How Do You Understand The Larger Marketing Strategy? Your customers are smarter about technology and much pickier about the content they consume than ever before. Your audience expects the fantastic copy to addresses their needs and provides solutions to their problems. A copywriter for hire will know how to educate and entertain your readers and get found by search engines. Hiring a freelance writer is one way to help strengthen your brand, improve your online visibility, and build a sales funnel for future success. Even though you may think it is odd, it can prove very useful to work with a copywriter who has experience in other channels. This is because you want to receive the most value for your copywriting projects if the content can be used to your business. You can find out how your content will be utilized outside of a landing page or the next project if you understand the services a freelance copywriter. Connecting various networks together through strong copywriting is one way to grow your business and online marketing plan. Not only do I have 13 years with WordPress and website development, but I also offer professional freelance copywriting services. 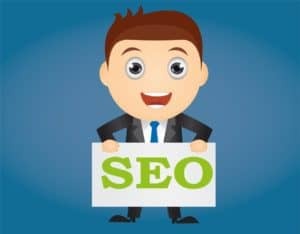 My unique understanding of the technical side of SEO and the user experience side of web development makes me the perfect freelance copywriter hire for your business needs. I also offer valuable services in PPC management, where I apply my copywriting knowledge and PPC to help drive qualified leads to your site and convert them into paying customers. Contact me today if you are ready to receive valuable content with my freelance copywriting services!